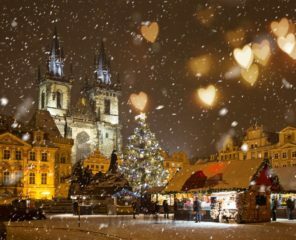 Without a doubt, Prague is filled with beautiful spots and you can easily spend days just walking around while enjoying the vibe of the city. 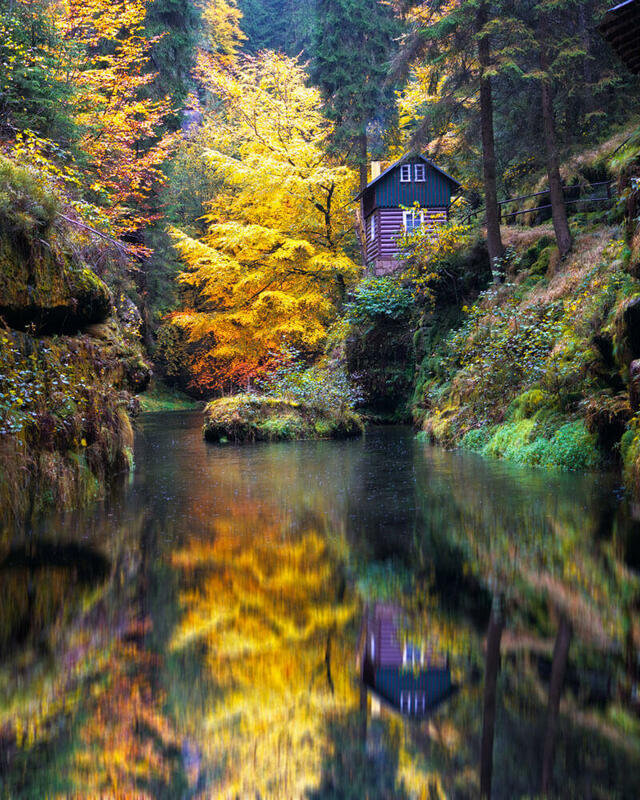 How about discovering more of the Czech Republic? 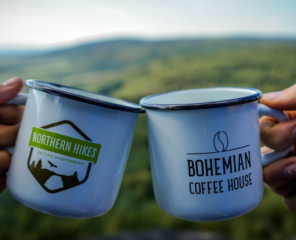 Let us take you on a wonderful trip outside of the city and get to know hiking trails of Bohemian Switzerland. In fact, the Czech Republic is rather flat compared to its neighbors. The highest peak Sněžka is 1 603 meters (5 256 ft.) tall. However, hiking is a very popular outdoor activity as the hiking trails vary from easy walks to forest paths with more challenging elevation. 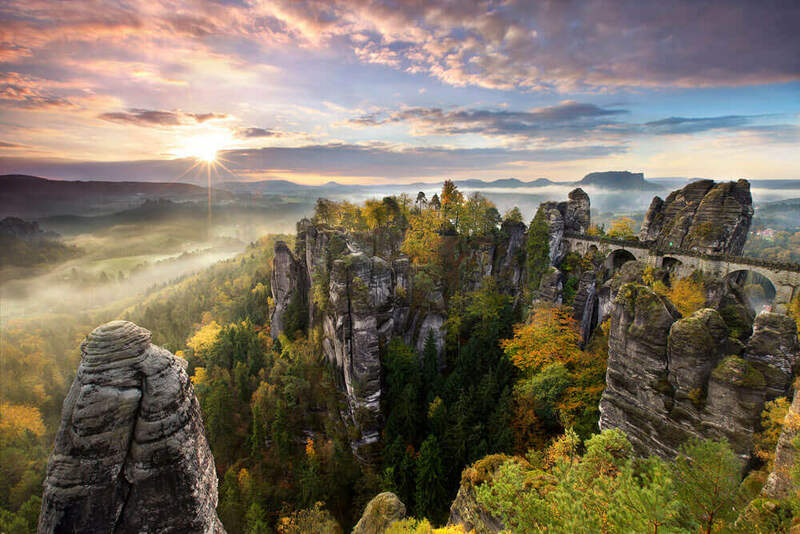 Bohemian-Saxon Switzerland National Park has some of the best hiking trails in the Czech Republic. 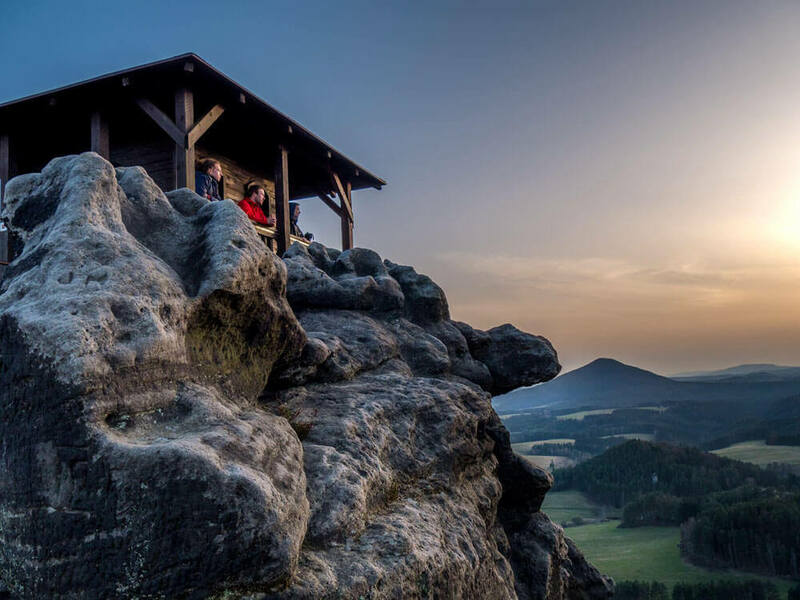 Stunning landscapes with breathtaking views are just an hour and a half drive north of Prague. 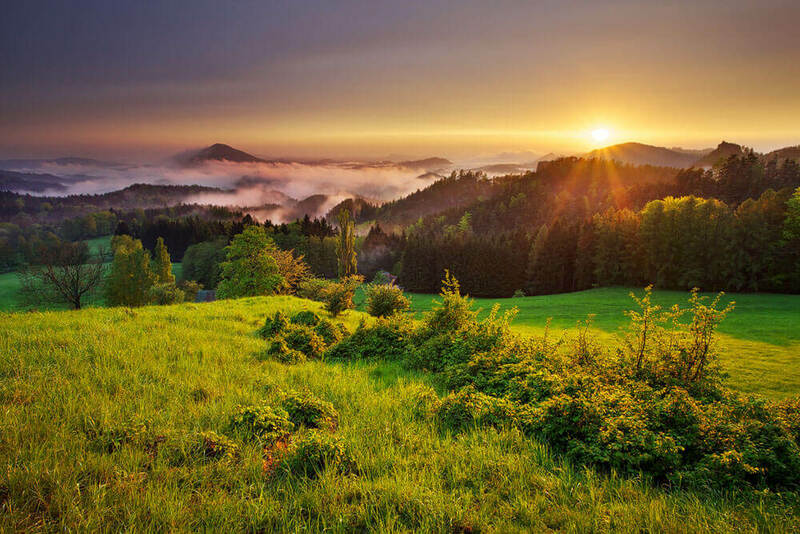 The northern Bohemian nature is a treasure in it’s own right. 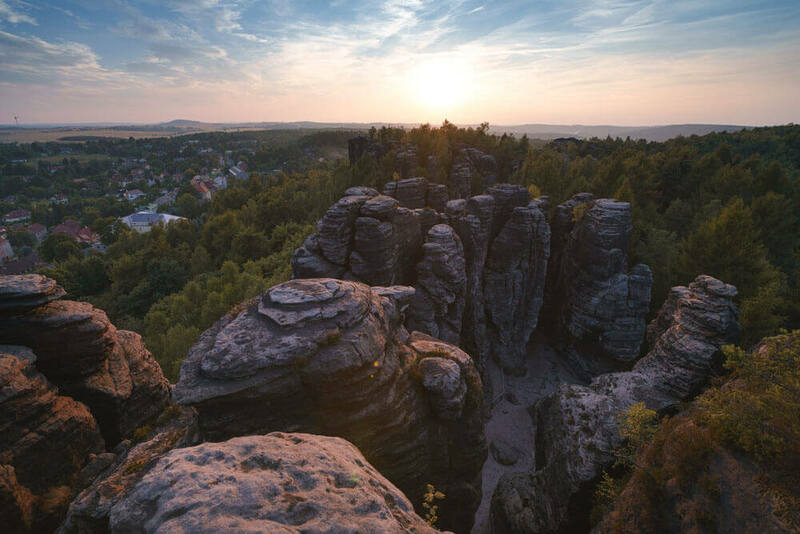 Taking a day trip from Prague is the easiest way to get a taste of what this Bohemian-Saxon Switzerland has to offer. When it seems like there are endless kilometers of trails to choose from, it’s hard to say which is our favorite. Regardless, the accessibility of its best features coupled with a diverse selection of trails, it is a park for outdoor enthusiasts of all kinds and fitness conditions. The gorges of Kamenice are an ideal day-hike from Prague. 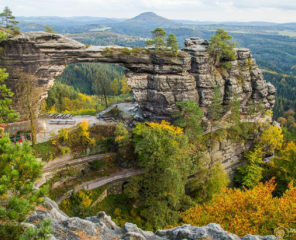 They offer visitors a chance to connect with Czech nature without having to exert too much. 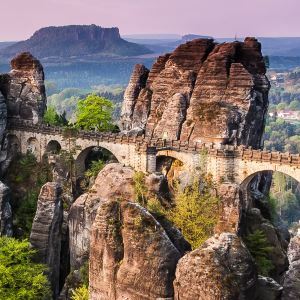 A gentle hiking trail hovers between sandstone cliffs and the Kamenice creek as it makes its way through the lush, narrow canyons. Soon enough you will meet a point where the trail ends and the only means of continuing on is by boat makes this hike more about leisure then challenge. What puts this trail over the top? Seeing it in autumn. 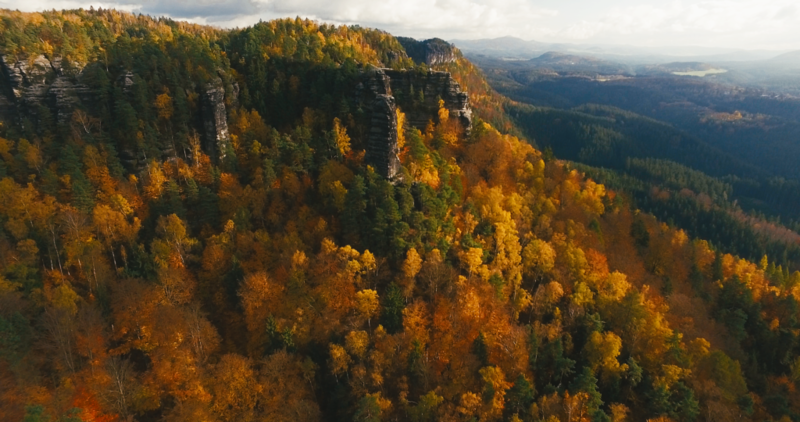 We know the changing of the leaves is a phenomenon that happens everywhere, but we still think it’s extra special as it sweeps across north Bohemia. We can’t get enough of that lush green turning vibrant reds and oranges and reflect on the water, but don’t take our words for it- see for yourself. It’s hard to say which is the most iconic scene from the region. Perhaps the location which gave the park it’s namesake – Switzerland is one of them. 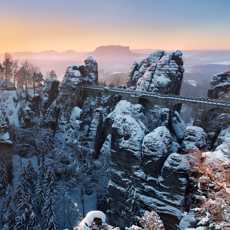 Home to the Bastei bridge, an accessible trail combs the tops of the sandstone allowing visitors to make their way down onto the bridge, fortress and other various viewpoints with minimal effort. Looking for more of a challenge? Try climbing up from the river below, a 194 meters (636 ft.) rise in few kilometers. Looking for a bit of a challenge? 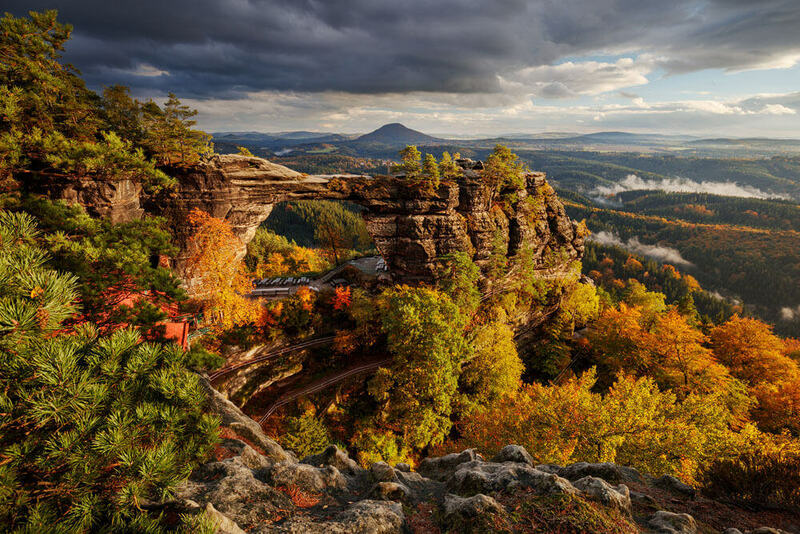 Gabriela’s trail leads to what might be the most identifiable landmark in Bohemian Switzerland – Pravcicka Brana. The end of the six-kilometer hike rewards its explorers with views of this stunning natural arch. Take this trail in autumn and you will certainly be greeted with warmly-colored fall foliage as you meander in and out of the sandstone cliffs that make the national park so special. 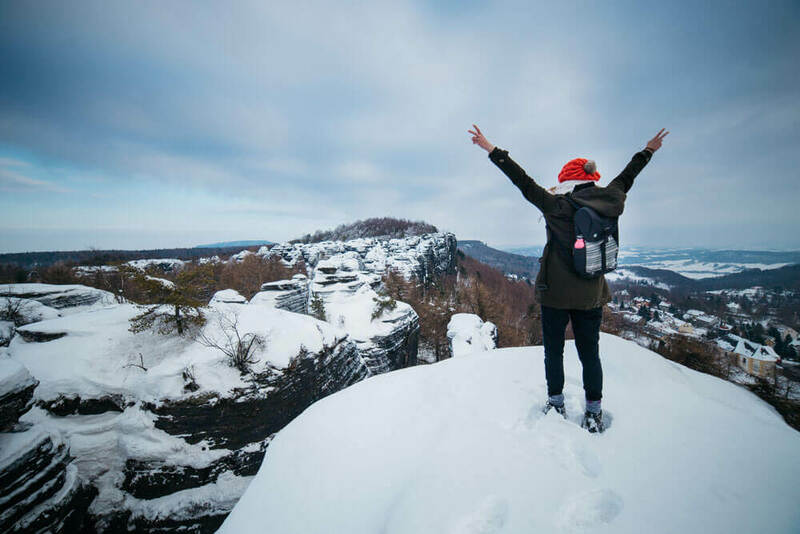 Another hike that has a bit of laid back strolling through stunning sandstone formations mixed with stairs wedged between the rocks is found at Tisa. Arriving at it’s base, you first see the wall of sandstone cliffs before making your ascent to view the same canyon from above. An ideal hike in the winter months as it was once the set of the Chronicles of Narnia. The snow ads an extra level of beauty and challenge. There are no shortage of challenging and less-visited trails that offer a unique perspective on the popular park. What may be one of the most challenging climbs also offers some of the most rewarding views. Due to the nature of the rugged landscape, it is inevitable that the terrain is naturally difficult. Šaunštejn – bandit’s keep or robber’s castle holds a local legend that matches the effort to get there. Rumor has it it was built to protect merchants on the road between villages and other points of interest. It was not long before the fortress became abandoned and repurposed by robbers and bandits as a secluded hideout as they preyed upon those traveling through. To get there, an extensive amount of climbing up metal stairs make this a challenging adventure. Another off-the-beaten-path trail ideal for the more adventurous is the ascent up to Mariina Skala, or Mary’s Rock. While not the vertical climb to Šaunštejn, it’s not exactly a walk in the park either. Like Šaunštejn, it is also worth the view that looks to the horizon and into the valleys below. 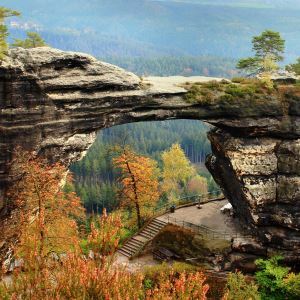 Bohemian Switzerland has something for just about everyone to enjoy. Its location near Prague is making the region ideal for a day trip during your stay in the golden city. The trails are as diverse as the landscape, making this region dynamic. 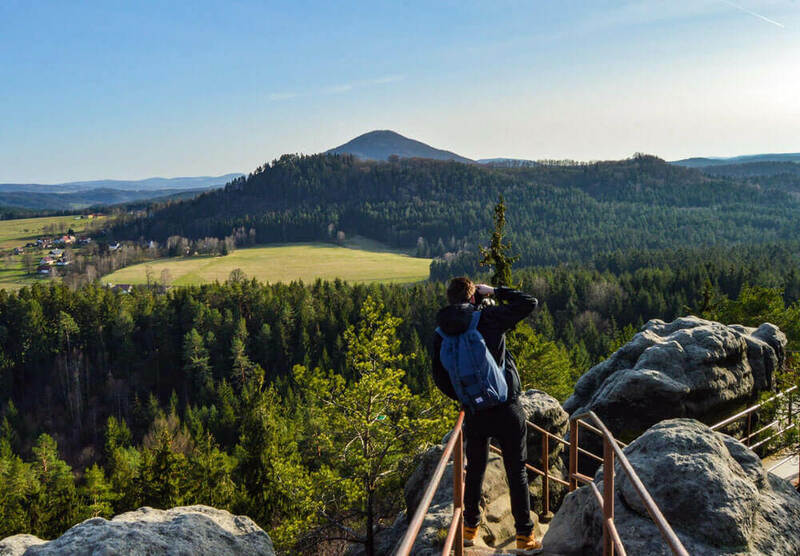 Experiencing Czech nature gives you a real contrast of what the Czech Republic is all about.